I started with Julia Roberts in her 1997 film My Best Friend's Wedding, which I found deserving of being considered an all-time classic romcom. I personally think, however, that it's quite ridiculous having a mutual agreement with someone to marry him or her when you're both still unmarried at a certain age, as Julianne (Roberts) and Michael (Dermot Mulroney) did in the film. You'll most likely be that desperate if, whether you're aware of it or not, you want to please other people, i.e. your parents, siblings, amigas, or the society in general who expects you to be wed while you still have thick hair and unwrinkled skin. Do it if you want to multiply. Because that has a real deadline to it, a.k.a. your aging reproductive system. My Best Friend's Wedding had Cameron Diaz in it and so I thought I'd watch There's Something About Mary afterward. I should have seen the classless humor coming, however, because Ben Stiller was in the movie. Now I know what that photo I've seen many times before with Cameron Diaz and a portion of her bangs standing up is all about. Next: two chick flicks with the number 10 in their titles. How to Lose a Guy in 10 Days? Not so good. 10 Things I Hate About You, on the other hand? Surprisingly enjoyable. Any story with books, poetry, and characters who are mavericks will always appeal to me. Julia Stiles and Heath Ledger were both charming and they had great chemistry. Katherine Heigl was hilarious in The Ugly Truth, especially in the scene where her character Abby couldn't keep her composure at a corporate dinner because of, er, a special type of underwear Mike (Gerard Butler) character had given her. The ending where Mike and Abby fly on a hot air balloon turned me off though. I can never stand sketchy background or special effects. Either you make them look very real or don't use effects at all. I shouldn't have to go to the movies if what I see can't automatically make me suspend my disbelief. 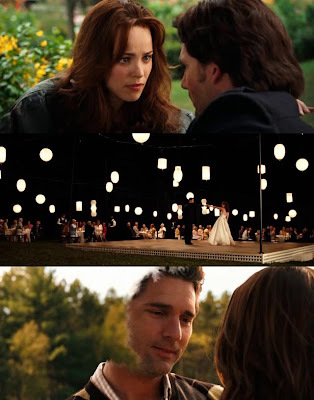 Now something more recent: Love and Other Drugs. Jake Gyllenhaal and Anne Hathaway reunite but this time Jake's character actually genuinely falls for Anne's. I saw it twice, the first time alone and the second time with one of my college best friends Mines. Three thoughts: "Very 1990s"; "Hey, I still know my pharmacology"; and, "If your lover stays by your side even with the knowledge that you've got an incurable disease (like in A Walk to Remember and The Notebook, two of the best romance films I've ever seen), that's true devotion." 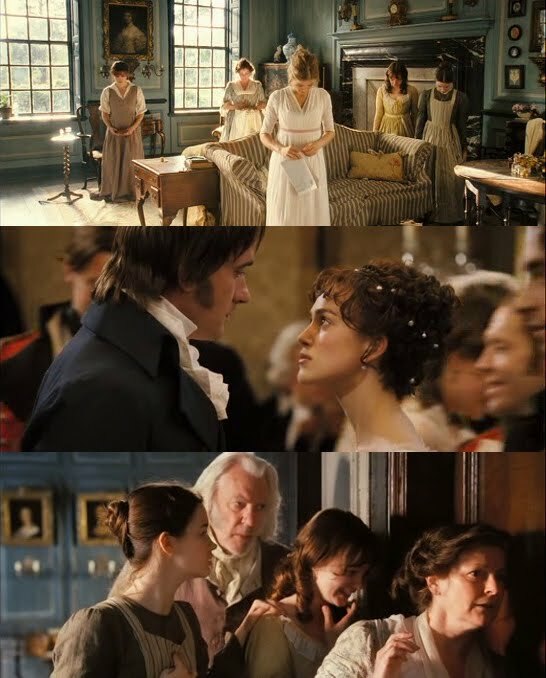 Two movies which are very 1800s: Sense and Sensibility and Pride and Prejudice. Apart from the central love story of both films, they also tell of the societal role of women during that period in England, how they get passed over for an inheritance because there's another male offspring albeit one from a previous marriage, and also how they can instantly become wealthy by being wed to a man which they may not necessarily love. Not so different these days, when you come to think of it, also in the way family and relatives like to eavesdrop and gossip. I wish women today would know etiquette like they did back then though. I've never read any of Jane Austen's works because if I couldn't stand most romance movies which only run for an hour and a half, how can I possibly stand to read a romance novel for double that number of hours or more. But I know that Jane Austen's works are good (or else they wouldn't have been deemed some of the greatest classics) and Emma Thompson's adaptation of Sense and Sensibility for the big screen only made that story better, I'm sure. 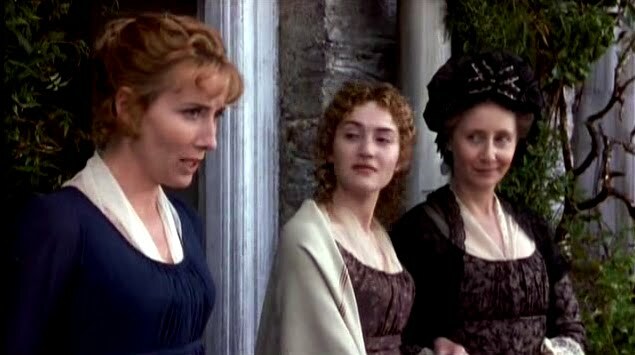 Even her performance as Elinor Dashwood was brilliant, as well as, of course, Kate Winslet's as Elinor's sister Marianne. Pride and Prejudice was, as one of its reviews stated, absolutely glorious. I couldn't think of another adjective for it. A movie with a tangle of issues concerning time: The Time Traveler's Wife. I am confused by how that ending (I shall not spoil it) is possible if Eric Bana's character had already died. But putting that aside, two thoughts: "Don't joke about the time traveler passing out even if it's to express how beautiful his wife is"; and, "One true sign of devotion is when your lover marries you even when you're inclined to disappear at the most unexpected of times." And lastly, Windstruck, the only Korean romcom I watched because it was recommended to me before by an old friend. Thank goodness for freeware like VLC Media Player which can speed up a video up to 3 times without skipping scenes. 2 long hours! And the dude dies not halfway through the movie (not sorry for spoiling it) as in P.S. I Love You! There were funny scenes, however, and the ending was heart-wrenching, which kind of made up for the rest of the film. I'm not ashamed to say I cried watching most of these films I selected for Project Desensitization, even the romcoms. Because it's by crying that we determine how into a romance or drama film we are. We either ache for the characters when they yearn for something, or we ache for ourselves because we have no such something to yearn for. And that's primarily why we watch movies anyway. To have some form of escape, to feel emotions we don't normally feel, to be able to live vicariously through the characters onscreen. Because whether we admit it or not, sometimes our lives just aren't that eventful or interesting. Big sigh of relief, all that's over now. I already met my quota of romance films for possibly the rest of my life (there were too much, hence the delay in my blog posts about them!). But I'm not sure I was desensitized by them at all. I may have only ascertained that no matter how cynical I may be about love most of the time, I still am a romantic aching for himself and yearning for someone.